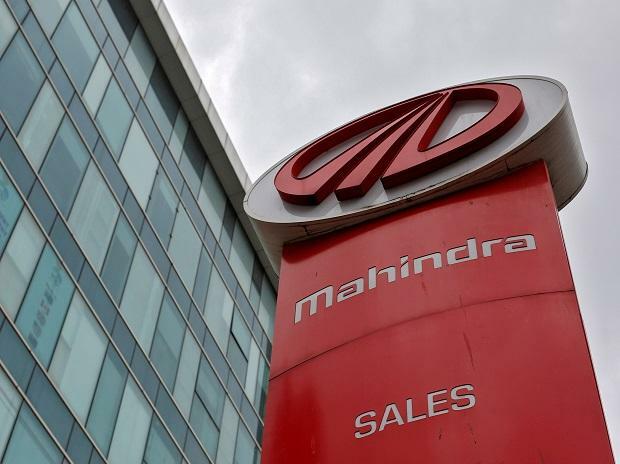 Mahindra & Mahindra and its subsidiary Mahindra Vehicle Manufacturers reported a 60 per cent YoY rise in their consolidated net profit at Rs 1,476 crore for third quarter (October-December) of FY19. 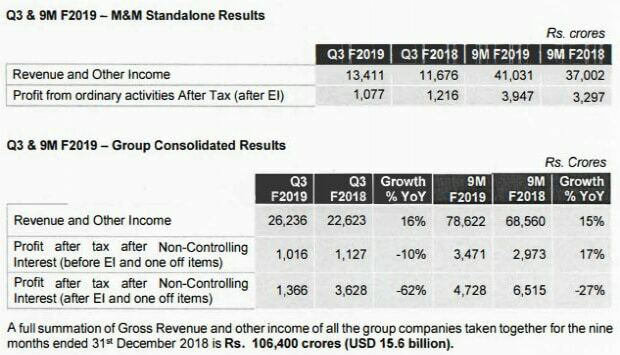 Operating margin stood at 13.2 per cent against 14.7 per cent reported in the corresponding quarter last fiscal. For Q3F2019, the Indian auto industry (excluding two wheelers) posted a flat performance with a de-growth of 0.3 per cent. This flattening of growth is driven by the Passenger Vehicle industry reporting a de-growth of 0.8 per cent (UV segment de-growing 2.9 per cent) and the MHCV goods industry de-growing by 8.2 per cent, the company said in its press release. In Q3F2019, the total domestic automotive volume for the Company grew by 9.6 per cent with the LCV< 2T (mini truck segment) and the LCV 2-3.5T Pik-Up segment growing by 37.5 per cent and 14.4 per cent, respectively over the corresponding quarter previous year. The Company exported 9,652 vehicles during the current quarter, a growth of 36.6% over the corresponding quarter previous year, M&M said. At 01:50 am, shares of M&M were trading at Rs 684.05 on NSE, down 2.40 per cent.